Man dresses in a goat suit and joins a goat herd to prepare for Canadian Mountain goat hunting. The Physician’s committee for Responsible Medicine are mad at McDonalds for stating that their kids meals are healthy. Horse Breeders are cloning horses resulting in 11 identical horses. Funny video, goat man, goats, happy meals, Jurassic Park, Jurassic Park 4. 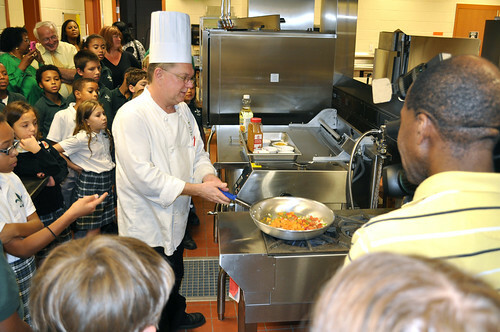 Chef Keith Faulkner prepares a healthy dish for students at Hynes Charter School in Orleans Parish, Louisiana on Aug. 20, 2012. The meal prepared was a “Recipes for Healthy Kids” contest finalist. “Recipes for Healthy Kids” is a competition in support of First Lady Michelle Obama’s Let’s Move initiative. The U.S. Department of Agriculture’s (USDA) Food Nutrition Service (FNS) challenged teams of school nutrition professionals, chefs, students, parents and community members to develop creative, nutritious, tasty and kid-approved recipes that schools can easily incorporate into National School Lunch menus. The recipe competition was designed to increase student’s intake of whole grains, dark green and orange vegetables, and dry beans and peas. USDA photoby Terri Romine-Ortega. It’s been almost a month since Oliver’s arrival & I’d be lying if I said it hasn’t been a struggle. At one week old Ollie was diagnosed with reflux. Apparently it effects approx. 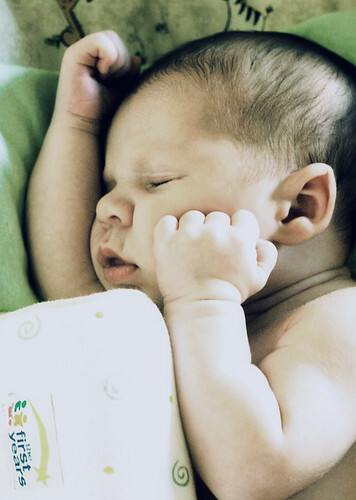 60% of infants & can cause them severe pain & discomfort. Our first sign of a problem was Oliver’s tendency to project his tummy’s contents across the room after a hearty meal. He also just seemed plain uncomfortable, which was so heartbreaking to watch :/ His doctor stated it was reflux & he was placed on a special hypoallergenic formula, which seems to have helped somewhat. But Oliver still seems uncomfortable at times, still projects his food across the room & has a host of other problems. While he sleeps wonderfully at night [about 4-5 hours, waking once for a feeding & then back to sleep for another 3], he has issues sleeping for any length of time or restfully in the day & evening. Poor guy also hates to be on his back [it aggrivates the reflux], so he’s been sleeping in his car seat at night & elevated & with the use of a sleep positioner in his basinette in the day [when he does take a nap, that is]. After hours upon hours of research, Patrick & I are starting to suspect MSPI [milk/soy protein intolerance]. Reflux is one of the larger symptoms of MSPI & a lot of his other symptoms seem to fit the bill. The next step at this point is either another change in formula, or meds :/ We hate to go that route, but we need to do whatever it takes to ease his pain. I know there are much worse things to deal with than reflux or MSPI…& in every other way Oliver is as healthy as could be & we should & do count our blessings every single day…but we’re just tired of seeing Oliver in pain, unable to keep his food down & we’re praying for some sort of relief [whether it be meds or otherwise] for our sweet little guy. 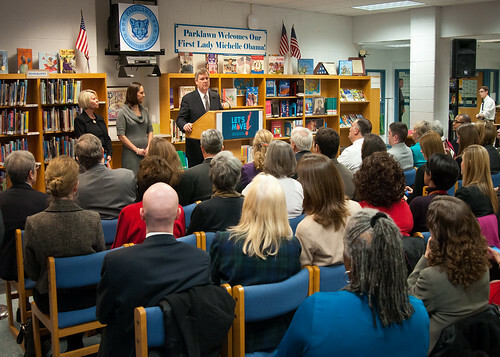 First Lady Michelle Obama joined Agriculture Secretary Tom Vilsack at Parklawn Elementary School to speak with faculty and parents about the United States Department of Agriculture’s new and improved nutrition standards for school lunches. An important accomplishment of the Healthy, Hunger-Free Kids Act that President Obama signed into law last year. 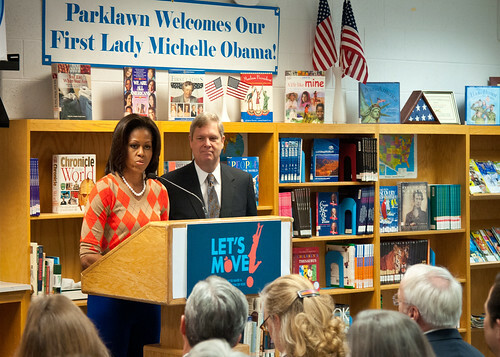 Also, in In February 2010, First Lady Michelle Obama introduced “Let’s Move” incorporating the HealthierUS School Challenge into her campaign to promote a healthier generation of children. 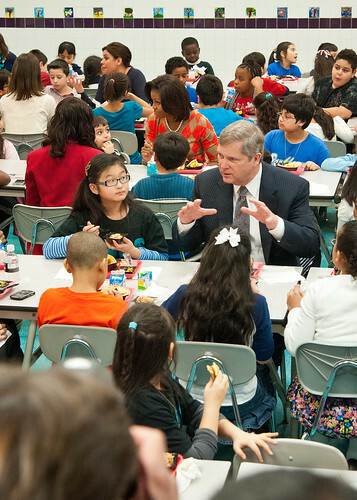 USDA is making the first major changes in school meals in over 15 years. The new standards encourage fruits and vegetables every day of the week, increasing offerings of whole grain-rich foods, offering only fat-free or low-fat milk and making sure kids are getting proper portion sizes at the Parklawn Elementary School Alexandria, Virginia, on Wednesday, January 25, 2012. USDA Photo by Bob Nichols.